THE FACEBOOK-OWNED messaging app WhatsApp has been growing steadily since it was acquired back in 2014, and today it’s announced another major milestone. Its CEO and founder Jan Koum announced on Facebook that the app now has 900 million monthly active users. That means in the space of five months, it’s gained another 100 million users (back in April, it announced it reached the 800 million subscribers). The service has steadily grown its userbase and while the latest announcement took a little longer to reach, it means the possibility of it reaching a billion users by the end of the year is very real. Although it’s also likely that Facebook has started thinking about how to turn it into a proper business. During an earnings call back in October 2014, Facebook’s CEO Mark Zuckerberg said that the company wouldn’t consider developing a real business around WhatsApp (and other services) until it reached a billion members. And I think that the right way to think about that, as I’ve tried to say repeatedly on these calls is, not that we’re going to try to monetize them very aggressively in the next year or two, because I really think for each of those categories, the right strategy is to first focus on connecting 1 billion-plus people and reaching the full potential before very aggressively turning them into businesses. Since it started announcing these milestones more than two years ago, WhatsApp has grown from 250 million to 900 million. During its announcement back in January, it was revealed that WhatsApp users send more than 30 billion messages per day through the app. Recently, the company rolled out some new features like voice calling as well as its web app for iPhone users a few months after it arrived for Android and Windows Phone users. 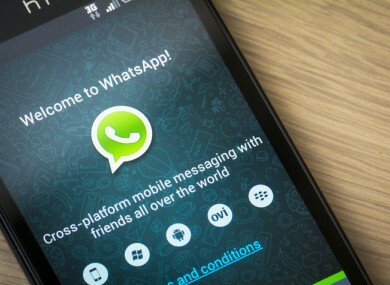 Email “WhatsApp takes one step closer to realising its dream of one billion users”. Feedback on “WhatsApp takes one step closer to realising its dream of one billion users”.